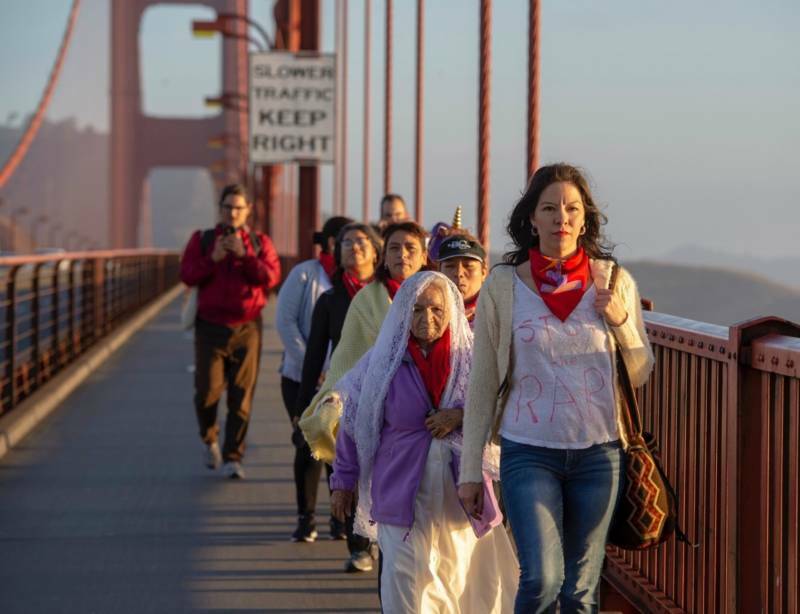 The janitors, who come from across California, began their march on Monday at the Golden Gate Bridge. They're expected to arrive in Sacramento Friday for a rally and protest on the Capitol steps. They're asking Gov. Jerry Brown to sign a bill, AB 2079, they say would go a long way to preventing sexual abuse on the night shift. Many of them have been harassed, groped, even raped in the buildings they clean, often by supervisors who take advantage of their isolated working conditions. That reporting inspired a law passed last year, requiring janitorial companies to provide sexual harassment training for all employees. It was sponsored by Assemblywoman Lorena Gonzalez Fletcher of San Diego. She has now pushed through a second bill, which would require janitorial companies to allow workers to give that training to each other. Mejia has been training as a promotora, or peer educator, to learn how to talk to other janitors about preventing sexual violence. 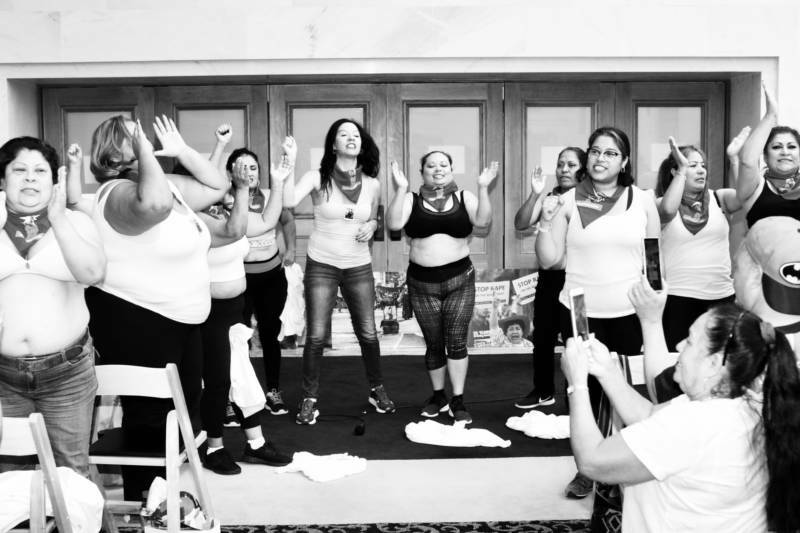 She and other building cleaners have even been taking self-defense classes to learn how to prevent a supervisor from attacking them if they’re alone at night cleaning an office. 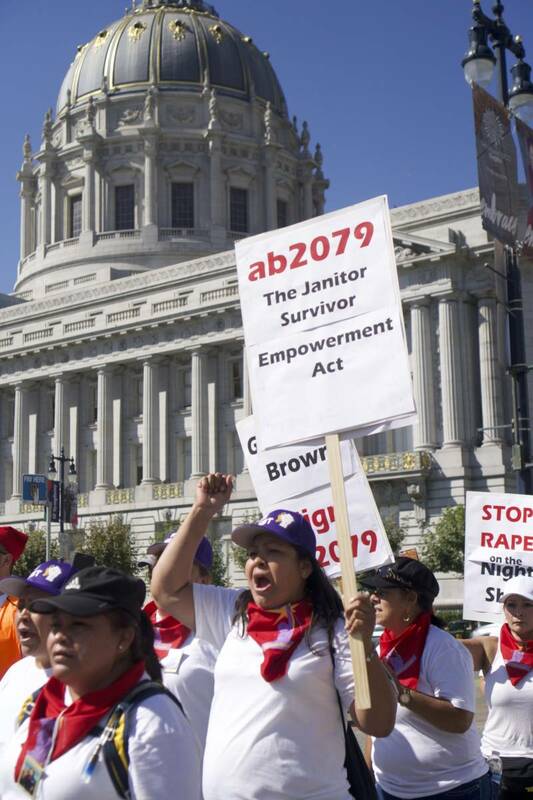 But the union behind the march, Service Employees International Union/United Service Workers West, worries that with a slew of #MeToo bills on his desk, Brown won’t see a reason for a special bill regarding janitors. But the union’s secretary treasurer, Alejandra Valles, says that since Donald Trump was elected, there’s a heightened fear of deportation in the immigrant community, and she thinks women are more likely to confide in another janitor. “Is it going to be somebody in a suit and tie or someone who looks like them?” Valles asks. “It makes the difference between whether that woman is going to live in silence or whether that woman’s going to actually report it." The California Chamber of Commerce argues that businesses should be able to decide who gives their HR training and how much to pay them. (The bill would mandate that janitor peer trainers be paid at least twice the state minimum wage.) You can read their opposition letter here. 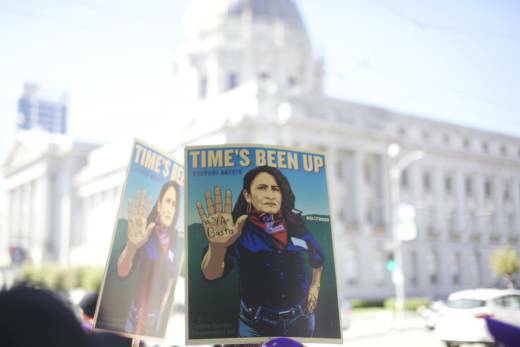 The janitors on the march are planning civil disobedience and a protest at the Capitol Friday. Brown has until Sept. 30 to sign or veto the bill.